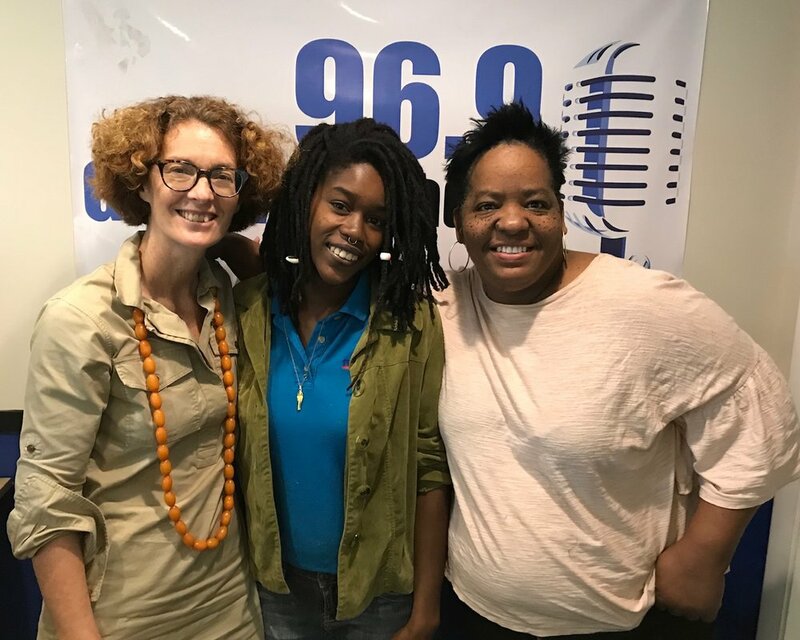 On this week’s Blank Canvas we welcome two more artists from the National Exhibition, “NE9: The Fruit and The Seed”: Jalan Harris (centre) and Kendra Frorup (right). While their pieces are very different—with Frorup’s large-scale sculpture hanging from the ceiling of the NAGB’s Ballroom, and Harris’s photo-collage—both deal literally and metaphorically with the idea of flora, seeds and fruits as objects but also as an idea of the future, birth and change. Three mothers in the studio, all Bahamians from different generations, speak to ideas of womanhood and manhood and the possibilities for change and adaptation, while sharing their artistic practises. Tune in and join the conversation! The Blank Canvas airs every Wednesday on Guardian Talk Radio 96.9 FM.